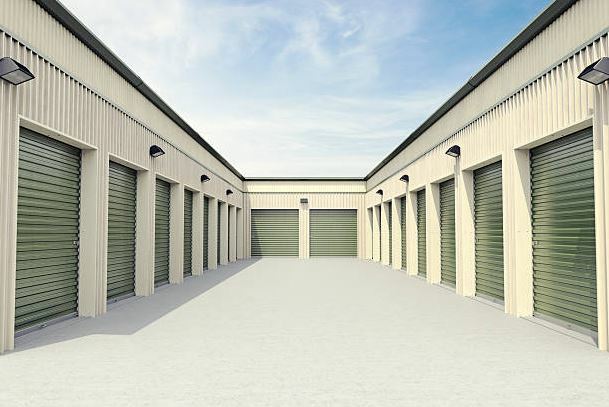 If you’re in the process of selling or buying a home, you’ll probably be investigating storage companies. Choosing the right storage company isn’t as easy as it sounds, and it’s an important choice. After all, you’re passing all your belongings into someone else’s care, and you need to make sure that they will be safe. After 70-years in the industry, Kent knows what to look for in a storage company. Here’s some tips you can use to find the right company. It’s well worth spending the money on engaging a company with storage facilities that will protect your valuables. Bear in mind that most storage facilities offer little more than a brick room or cage with a padlock, meaning your items could be subject to all sorts of harmful elements such as pests, dust and temperature fluctuations. To ensure the safety of your valuables, you need a facility that offers climate control, alarm systems, fire control and protection against dirt and damp. The right storage company will continue to look after you and your belongings long after you have placed everything in storage. This means providing such items as a detailed inventory, and condition report free of charge. They may also offer extra services such as packing and pick-up, as well as re-delivery. You never know when these extra services will come in handy, so it’s worth enquiring when engaging a storage company. Thanks to the internet, you can review the performance of a storage company by just looking online. You can check websites such as ProductReview, TrueLocal, Facebook and Google+ to see what past customers have to say about the company you are researching. If they have a glowing online reputation, chances are you’ve found a good provider. Any professional storage provider will offer comprehensive and flexible insurance policies. Remember, your items won’t be covered by home and contents insurance while they are in storage, so make sure you engage a company that provides insurance policies that will keep you covered in all circumstances. If a storage provider only accepts cash, you should walk away immediately. People that only take cash payments are usually trying to dodge tax obligations or work outside the law. A professional company will allow you to pay via cash, card, EFT, cheque, and so on. If you need to store anything other than boxes of clothes, you need to find a storage company that has the requisite capabilities and experience. Items such as boats, pianos, artwork and so on, need a specialist storage provider, so do your research before you hand over any money. Over the past 70-years, Kent Storage has built its success on delivering first-class storage solutions that can be trusted and relied upon by our customers. We offer a Four-Level Secure Storage System that has made us a leader in the industry, and the first choice for anyone looking for storage.